Perched on the roof of packaging manufacturer Class Plastics in Melbourne’s western suburbs are 1,460 solar panels generating a massive 365kW of power and saving the company $100,000 a year on electricity. The problem was: Who could find a vantage point for Minister D’Ambrosio to view the rooftop array of solar panels? 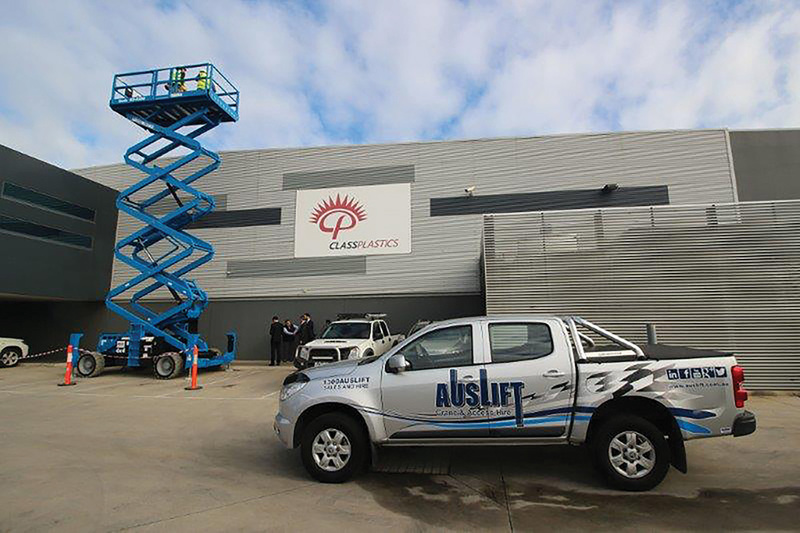 The ministerial visit was a valuable opportunity to showcase Genie and Auslift, noted Surace, who operated the machine and gave the Minister a safety induction. “She asked about the role of hire companies and machine supply companies in the field of solar installations. “The Minister was very impressed by the machine, its ability to deliver its payload of passengers, but also its ability to deliver solar panels onto the roof of even the tallest factories.” said Surace.